Congratulations to Dr. Yuehe Lin, a Laboratory Fellow at Pacific Northwest National Laboratory, on his role as primary editor of the Handbook of Electrochemical Nanotechnology. Recently released by American Scientific Publishing, the two-volume set was written as a reference for researchers, students, and professors. Comprehensive and up-to-date, the books contain a total of 20 chapters written by leading researchers from academia and research institutes. The first volume contains an overview of this emerging field. 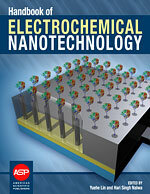 The second volume explores potential applications, including nanoelectronics, sensors, and energy storage and conversion. 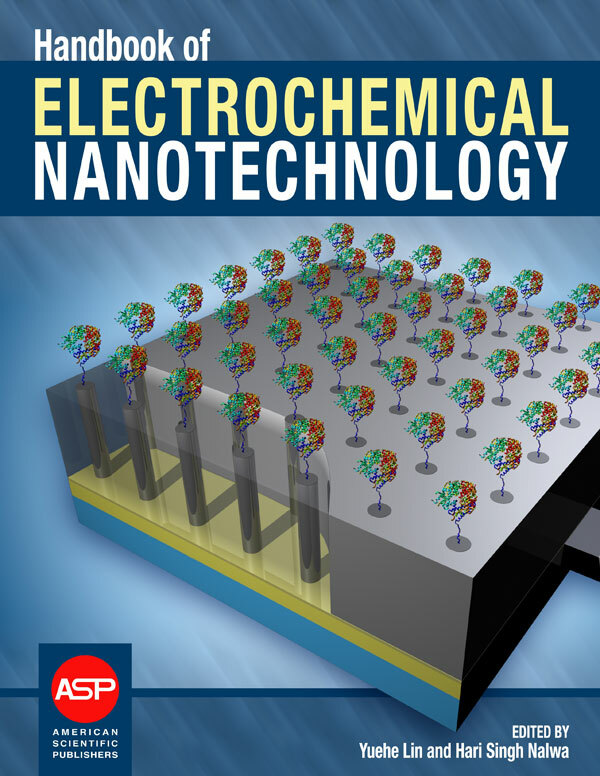 In addition, the texts demonstrate that electrochemical nanotechnologies can solve significant technical barriers and potentially revolutionize research in emerging areas. 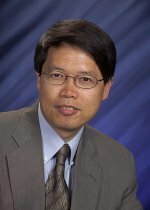 Lin was selected as primary editor based on his contributions to the fields of electrocatalysis, chemical sensors, biosensors, and biomedical nanotechnology. He has distinguished himself through his outstanding program development skills, his mentoring activities, and his publication excellence. Lin has authored more than 200 peer-reviewed publications and has more than 10 patents, half of which have been licensed to industrial partners for commercialization. Lin is a section editor of the Encyclopedia of Microfluidics and Nanofluidics. He also serves as editor and editorial advisory member of 18 international journals.